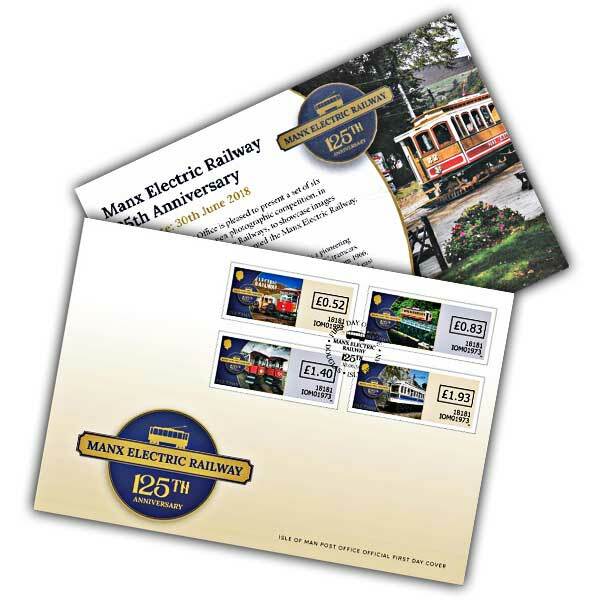 The full set of the Manx Electric Railway 125th Anniversary Definitives stamps are displayed beautifully on this luxurious envelope. The set is cancelled with a special postmark for the date of issue. 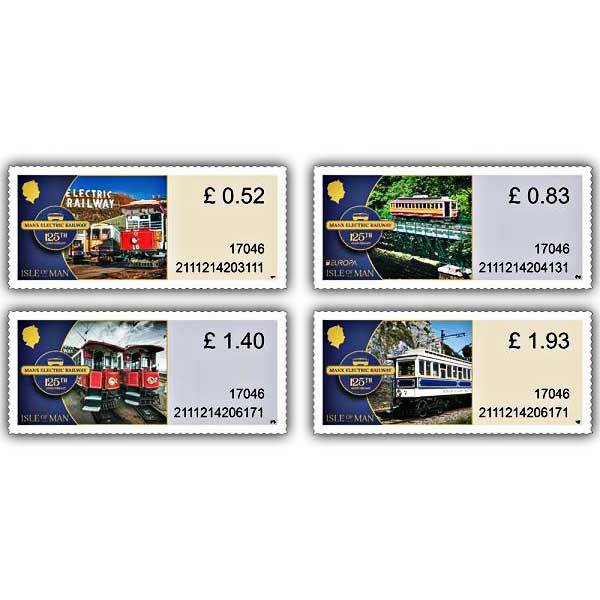 Inside the envelope is a filler card which has insightful information about variable value self-adhesive stamps and the designs featured on the second set from Isle of Man Post Office.